We may have achieved so much in terms of innovation and advancements but we are still clueless on how to completely eradicate many maladies that make life hard for all of us at one point or another. We have a lot of things going in that 24 hours each day is no longer enough for us to finish everything every single day. While we celebrate at the seeming non-existence of boredom anymore, there are things that pose a new threat, one that is far bigger and more deadly than getting bored of our wits for hours on end. Our addiction to technology has opened up a whole new world of possibilities and helped keep us entertained 24/7 but it has also deprived us of precious sleep. As a result, we get on with our days with only the minimum number of hours of sleep and it is seriously messing up with our health and well-being. Chronic lack of sleep and several other sleep-related disorders and issues have prompted the popularity of sleep clinics. Of course, there is a demand for their services, a big one at that. People really have difficulty falling and staying asleep. And even if they do, it isn’t as fitful or as rejuvenating as it should be. Now, with the demand for sleep clinics continuing to soar, some may take advantage of the situation and this where the problem begins. As of date, many Canadian sleep clinics have been accused of various irregularities. And to improve quality and consistency of care, not to mention uphold patient’s rights and safety, seems like the authorities will have to step in as the dangers can no longer be ignored for people’s lives are in danger in the hands of unqualified personnel who aren’t equipped with the knowledge and skills needed to handle sleep disorders and its management. Up to 200 sleep apnea clinics in Alberta — which have gone unregulated for years sparking concerns about the quality of patient care — now face new rules introduced Jan. 1 aimed at improving oversight, safety and consistency of care. 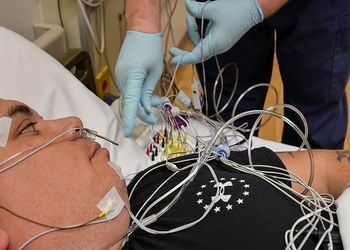 While standards have been in place for overnight sleep medicine clinics since the 1990s, until now labs offering take-home sleep apnea tests and treatment were not subject to similar rules. “The quality of care issues [are] disastrous,” said Dr. Charles Samuels, medical director of the Calgary-based Centre for Sleep and Human Performance and president of the Canadian Sleep Society, an organization that promotes sleep disorders medicine and education. Come to think about it, people actually spend the night in sleep clinics to get a proper assessment. They just don’t stay there for several minutes like in traditional doctor’s clinics. They sleep there while covered in various contraptions and wires that monitors important parameters in their bodies. Hygiene is not the only issue here as well. Unregulated sleep clinics compromise the patient’s health by misdiagnosing their conditions and not treating them properly despite these patients paying them the corresponding fees for their services. Facilities will need to be registered and meeting the standards by 2020, with full reviews occurring every four years. The College and Association of Respiratory Therapists of Alberta says it worked in an advisory capacity as the regulations were being developed. “It is anticipated they will positively impact our members‘ professional practice by enhancing the quality and safety of patient care provided, particularly around home portable diagnostic testing,” executive director Bryan Buell said in a statement e-mailed to CBC News. While they won‘t be barred from operating, clinics that don‘t meet the new standards won‘t be accredited. When it comes to medical practice, there are standards that must be met and upheld. You can’t just do what you want especially that you are dealing with people’s lives. If you have sleep issues and have come to terms with it, the next step you are likely to make is a visit to a sleep clinic in your area. Make sure you only trust an establishment that has the proper and updated accreditations. If they don’t, go somewhere else because you deserve far better than what these places can offer. Patients with sleep apnea are often the ones who’d seek treatment here, so while you are still scouting for legitimate sleep clinics you can’t go wrong with an anti-snoring mouthpiece that does not just take care of the snoring but offers palliative support. No need to worry anymore about breathing gaps in your slumber because these handy contraptions such as https://snoringmouthpiecereview.org/sleeptight will ensure your airway is open just right and your brain will no longer have to make that deadly decision between breathing and your precious sleep.